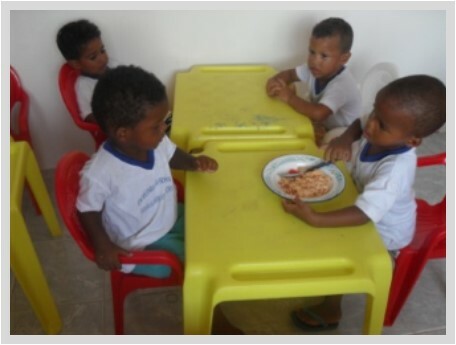 “Projecto Conviver” means living community. 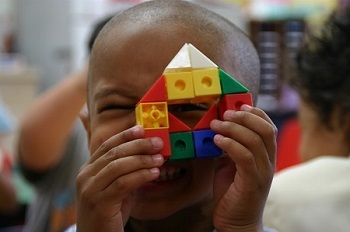 The social center is a place for children ages 5-10. In the morning all the children go to school. In the afternoon, all the children come to the center to seek safety from the streets, drugs and child labor. They learn about community spirit and the necessity of balancing play and work. This helps them to see joy and enthusiasm for reading and writing. The Priory maintains a daycare, with 60 toddlers. This is an opportunity for children to receive steady care while their mothers work to support the household. Last, Olinda Priory supports an ongoing senior group. Once a week, a group of about 40 men and women, that are economically disadvantaged, gather at the neighborhood center. Faculty from the Psychology Department, use students to work with the seniors and support them as the seniors seek out healthy and joyful living guidance. The center also has a variety of activities for the seniors to participate in including gymnastics, singing and dance. Volunteers teach the seniors art and the work they do is displayed at the center and often purchased by community patrons. At the center, no senior goes hungry as soup and bread are offered daily building strength and stamina for those who may need the meal.